This year’s Ensemble Travel Group International Conference will be held at the Omni Orlando Resort at ChampionsGate in Orlando, Florida from October 25-29. Ensemble Travel Group is a member-owned organization of approximately 850 independent travel agencies across the U.S. and Canada. The conference is designed around the theme “Beyond Boundaries,” and encourages member agencies to look beyond the norm, the usual, and the expected to become more successful, according to Ensemble. Topics will range from selling to the affluent, cruise hosting and time management. An executive supplier panel will discuss industry trends and issues. The keynote speaker will be Anthony Bourdain, Emmy-winning TV host of Anthony Bourdain: Parts Unknown. Bourdain will share his insights into the cultures, food, and current events gained from his worldwide travels. 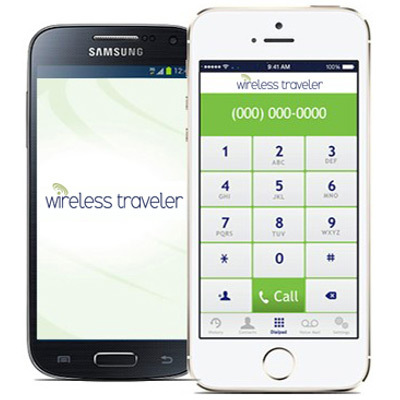 Wireless Traveler will be attending the conference and showcasing our most popular wireless communication products: our high-speed Pocket WiFi Hotspot, low-cost Wireless Traveler App, and our Global SIM cards. During the conference, we will be offering the Pocket WiFi Hotspot at a reduced price of only $139.99 (regularly $159.99) for Ensemble conference attendees. Please stop by and see us at booth 92 on Tuesday if you will be attending the show. We are excited to meet up with many of you again for a chat!